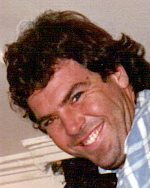 Family and friends of the late Graeme David Oliver are invited to attend the celebration of his life which will be held at the Evergreen Chapel, Lester & Son Funeral Home, cnr Mate and Wantigong Streets, North Albury on Thursday 16th August 2018 commencing at 10am. Private Cremation. Passed away suddenly on 27 July 2018, aged 58 years. Loved son to Bryan and Daphne. Father to David. Brother to Raylene. Condolences to Graeme’s family and his son David. Graeme was a nice, humble man and a good bloke. From all the fishing boys and your old mate Harry The Hat.